CONFERENCE OVERVIEW: The Fifth Annual Colorado Fruit & Vegetable Growers Association Conference is a must-attend event for Colorado produce growers, companies/organizations serving the industry and individuals with an interest in produce and healthy eating. This year, we continue with the two-day format introduced last year. Day one will feature "deep dives," sessions where attendees spend several hours within the same topic. The schedule also includes plenary sessions and break-out workshops. The agenda includes the ever popular Grower-Buyer Networking Session, trade show and Tech Pitch. This is an unparalelled opportunity to network, make business connections and learn about research, regulations, marketing trends and much, much more. Back by popular demand is the popular grower-buyer networking session. Modest pricing for two value packed days includes breakfast, produce focused lunches, a Monday night reception and breaks. Save more on registration by becoming a CFVGA member at https://coloradoproduce.org/join-the-growers-association-2/ Get in on early registration pricing by registering For exhibitor & tech pitch forms as well as conference schedule, speaker bios, links to reserve lodging and other details: http://cfvga.org REGISTER NOW to attend this exciting conference! Early registration ends Feb 11 at midnight. EXHIBITORS A conference display booth is a fantastic opportunity to put your goods and services before Colorado's fruit & vegetable growers. 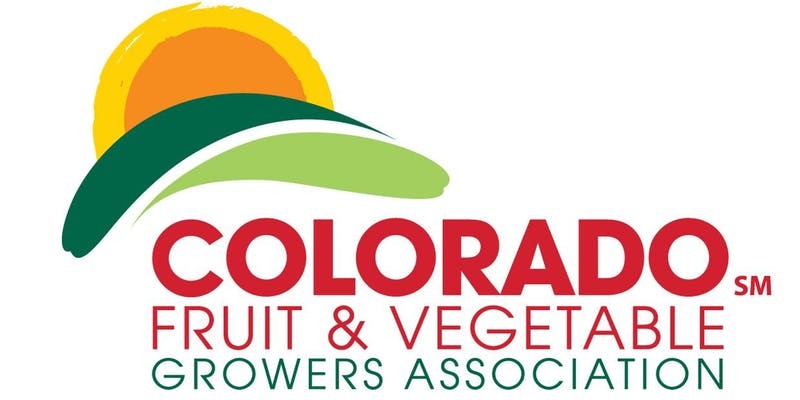 2019 CFVGA Sponsors and non-sponsor exhibitors wishing to have a display booth must first complete the Request for Exhibitor Space form, which can be found at http://cfvga.org/exhibitors/ or by requesting it at admin@coloradoproduce.org. 2019 Sponsors have until Dec.31 to confirm their participation before exhibitor space is opened to non-sponsors. Confirm space availablity by completing and submitting the form. PLEASE NOTE: If you are registering for the conference on or after Feb. 21, we cannot guarantee your lunch choice or even that lunch will be available to you, as these numbers will have already been turned in to the hotel.